I'm having some trouble creating a certificate with the openssl commandline tool. 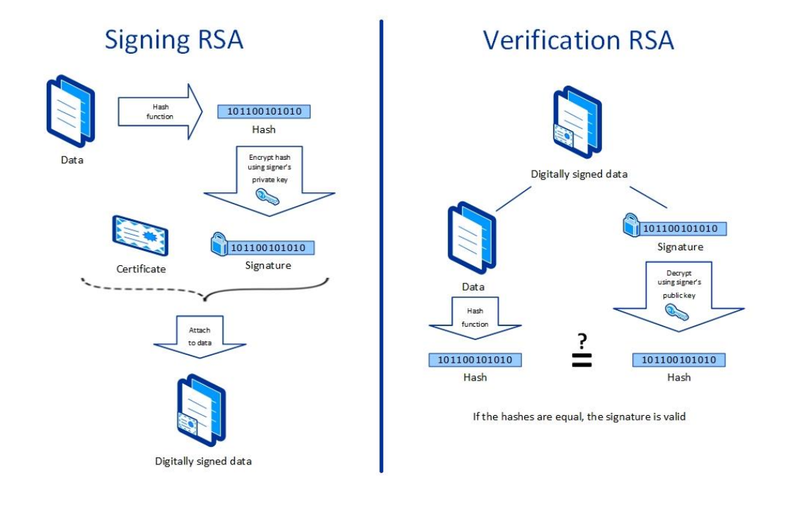 "A digital signature using an RSA 1024 bit key with a SHA-1 hash function (RSA-SHA1-1024)"
I can't get a large set of combination of the above command to work at all, always some parameter that breaks it. According to the spec we're supposed to sign a RSA message digest with the given certificate. I'm a bit confused why and how we are supposed to do this, maybe its an erroneus specification? The endianess i can't even find how to set it with the openssl commandline tool, any help here would be greatly appreciated! Unless I'm reading it wrong, that doc seems to contradict itself. It talks about certificate creation and that self-signed certs are ok, but then later says the only thing they want you to send to the NTA is the public key. Signing the data doesn't require a certificate, just the private key. So I'm wondering why they don't just have you create a public/private keypair rather than a whole cert that is only ever going to sit on the box and never get used. The rsa.pub file is what you'd send to NTA. I've never heard of anyone needing to deal with endianness explicitly with openssl. So I could be wrong, but you likely don't have to worry about it. The UTF8 charset likely only matters for actual certs with text fields like the Subject. Openssl outputs PEM files with ASCII encoding which is fine (and normal) because PEM is Base64 encoded. PKCS1 v1.5 padding is also standard. So now that you've got your keys. Let's try signing their example data from section 2.2.5 of their doc. First, throw the data into a file to make it easier to use in examples. Hash and sign the data, convert it to base64 with no line breaks and save it to a file. Hypothetically, the text within data.sig is now what you'd use for "signature_for_this_receipt" from the example. To verify, we can just do the following which should output "Verified OK". If for some reason you do need an actual certificate file, you can replace the first command that generates the private key with this one liner that will generate both the key and a self-signed cert. You still need the same second command to extract the public key. openssl req -nodes -x509 -sha1 -utf8 -newkey rsa:1024 -keyout rsa.key -out server.crt -days 365 -subj "/CN=MyCert"
Not the answer you're looking for? Browse other questions tagged openssl certificate private-key or ask your own question.